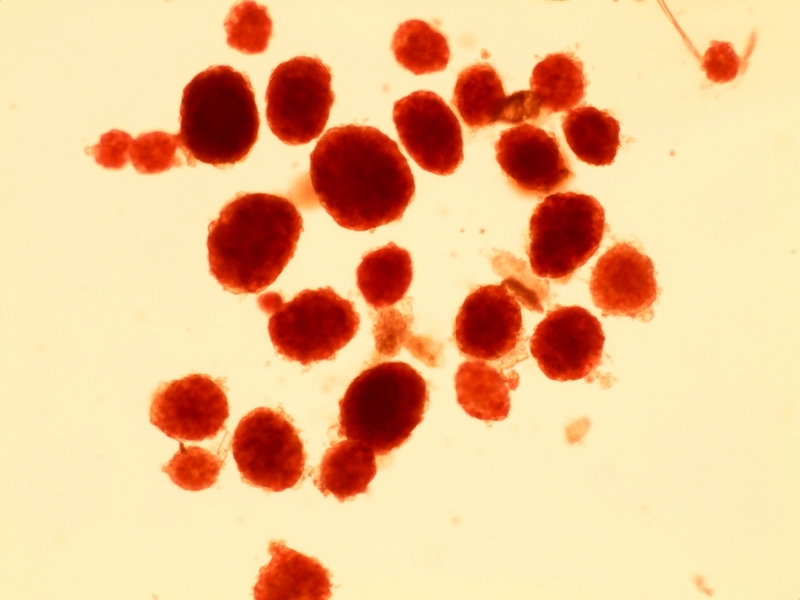 Human Islets for Research – Which factors affect their quality? You are here: Home / Headlines / Cell Sourcing - Cell Culture Technologies / Human Islets for Research – Which factors affect their quality? The islets of Langerhans are the regions of the pancreas that contain its endocrine (i.e., hormone-producing) cells. Discovered in 1869 by German pathological anatomist Paul Langerhans, the islets of Langerhans constitute approximately 1% to 2% of the mass of the pancreas. There are about one million islets distributed throughout the pancreas of a healthy adult human. Each is separated from the surrounding pancreatic tissue by a thin fibrous connective tissue capsule. The islets of Langerhans contain beta cells, which secrete insulin, and play a significant role in diabetes. Islets are widely used for transplantation to restore beta cell function from diabetes, offering an alternative to a complete pancreas transplantation or an artificial pancreas. Because the beta cells in the islets of Langerhans are selectively destroyed by an autoimmune process in type 1 diabetes, islet transplantation is a means of restoring physiological beta cell function in patients with type 1 diabetes. Human Islets for Research (HIR)® are primary human islets processed from organ donor pancreases that have been approved for research but not for clinical transplantation of either the pancreas or the isolated islets. HIR® are obtained in a proprietary process of pancreas digestion and islet purification that results in uniformly high quality HIR® for delivery to diabetes investigators. Quality Control (QC) testing is routinely performed prior to release to assure uniform quality and function of these islets available for research. It has been recognized that the cytoarchitecture of pancreatic islets differs between species. Human islets are more fragile, are smaller (in average size), contain less insulin and secrete less insulin when stimulated with glucose than rodent islets. The percentage of insulin producing B-cells is less and they do not exclusively occupy the islet core as with rodents (alpha, delta, PP cells and B-cells are more randomly distributed throughout the islet). The average percentage of beta cells also is higher in mouse islets (77%) in comparison to human islets (55%). The distribution of islet is more heterogeneous in the same pancreas in human vs. rodent. Since we are not involved in clinical transplantation, all of the islets processed are available for research and distribution, rather than only a portion that may become available if not meeting clinical requirements. Contracts with specific Organ Procurement Organizations are made to deliver human research pancreases from the United Network for Organ Sharing (UNOS) from listed cadaver organ donors that are refused for primary human pancreas transplantation or isolated islets transplanted into listed diabetic recipients. Using Prodo Labs‘ protocols and kits, the human pancreases are delivered under controlled temperature conditions directly from the recovering hospital to Prodo Labs with appropriate paper work confirming documented informed consent. Each cadaver organ donor has to meet specific criteria including freedom from specific diseases, risks, and blood test and drug screen results in order for Prodo Labs to accept these research pancreases for processing into human islets for research. Since islets from these research pancreases will not be implanted into diabetic patients and only used for research, several of the standard donor acceptance criteria have been reduced from the usual criteria required for pancreas donors providing human islets for clinical implantation as defined by Good Tissue Practices from the FDA. All islets processed from each human pancreas are available to be delivered to the diabetes investigators where the islets are held on tissue culture for 2-3 days to assure they are of high quality before being made available to researchers, as many preparations do not show their damage from the donation and processing until a day or so past processing when some islet preparations fall apart. Donors: age, BMI, CIT, etc. Despite the importance of technological refinements, the islet yield and functionality is dependent on the starting quality of the donor pancreas. Unlike homogeneous rodent tissue donors, human donor tissue has less predictable consistency. Moreover, factors such as age, elevated cold ischemia time, life support medications, and medical history can adversely influence human islet isolations. Donors that have an excessive Body Mass Index and increased pancreas weight typically yield higher volumes of islet tissue (Islet Equivalents – IEQs). Recent statistical analyses of donor dynamics comparing more than 800 pancreata from 14 different islet isolation centers showed that cause of death due to traumatic brain injury, hemodynamic instability, and abnormal liver function during hospital stay negatively affect isolated islet yield (Human Islet 101 – IIDP). The Islet isolation process is mainly divided into 3 mains steps: 1) enzymatic digestion 2) purification of islet and 3) culturing the islets. Today I’ll concentrate, in this last section, on media. Culturing of pancreatic islets after isolation has been a difficult task: islets becoming necrotic due to inadequate oxygen, the islet’s inability to proliferate in culture, and islets from different species display different behaviors in culture… Many culture media have been tested for their ability to culture human islets, with CMRL 1066 or Miami 1A medium being the most known. Prodo Labs have developed islet-culturing media to increase the viability and purity of islets, from isolation to experimentation. 3 media have been developed. PIM(R) is specifically formulated for culturing islets within the first 48-72 hours after a process. It enables the islets to round up with increased glucose responsiveness. After 72 hours, it is recommended to switch to PIM(S), as continued use of PIM(R) will lead to islet fusion. PIM(S) is specifically formulated for long-term islet culturing from 2-21 days at 37°C. It is enhanced with specific components that will reduce islet chaining. PIM(T) is specifically formulated to store islets up to 21 days at 8-12°C. You will need to complete a media change every 7 days, which involves warming the media up to 37°C prior to performing the change. The islets must remain at 37°C for 24 hours before returning them back to 8-12°C for storage. The PIM® family of products has a Biological Master File with the Food and Drug Administration (IND-15016). 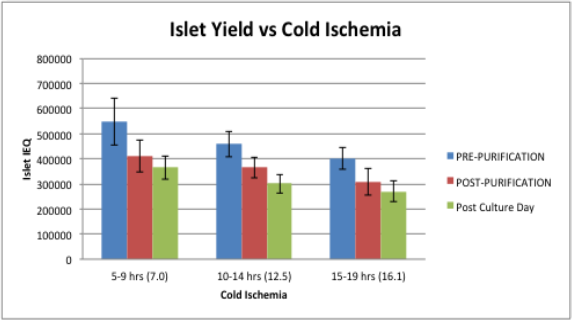 “Islet isolation from human pancreas with extended cold ischemia time (CIT) – Kühtreiber et al.” shows that the culture of islets in PIM(R) and PIM(S) media results in improved performance as compared to culture in Miami 1A media. Independent researchers also credited Prodo Labs – The Division of Immunogenetics, Children’s Hospital of Pittsburgh, University of Pittsburgh, PA USA and Westminster College, New Wilmington, PA, USA published Improved Culture Medium Conditions For Human Islets. (J. Zabo, S. Bertera, M. Trucco, R. Bottino). Download their poster here. To resume – Human Islets for Research are primary human islets processed from organ donor pancreases that have been approved for research but not for clinical transplantation of either the pancreas or the isolated islets. HIR® are obtained in a proprietary process of pancreas digestion and islet purification that result in uniformly high quality HIR® for delivery to diabetes investigators. As mentioned above, the islets are held on tissue culture for 2-3 days to assure they are of high quality before being sent to researchers, as many preparations do not show their damage from the donation and processing until a day or so past processing when some islet preparations fall apart. With our specific notification service, you’re immediately informed about new batches when they become available, the resulting delivery schedules & deadlines etc., so you won’t miss out! 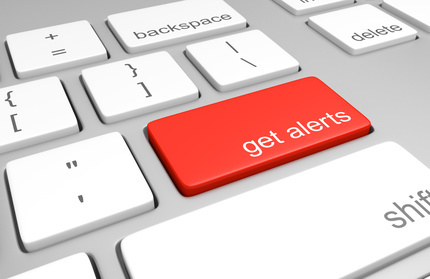 Sign up to receive e-mail notifications when fresh human islet cells are available from tebu-bio.